Renovated historic cottage on coveted dual access allotment within perennially popular West Hobart. Built c1837 Wallfield is one of the oldest and historically significant homes in the area and is a permanent entry on the Tasmanian Heritage Register. It sits on a coveted dual frontage allotment within a highly desirable inner residential setting, enjoying city views over Goulburn Street Primary School ovals. The home has been extensively and sensitively refurbished under current ownership and now provides for a compelling blend of irreplaceable Georgian charm and modern convenience. Recent works have included: reroofing (with insulation), new wiring, new plumbing, new kitchen and bathroom fit-outs, landscaping, painting inside and out and more. The home is ready to be enjoyed for decades to come. This beautiful residence provides for three double bedrooms, a spacious high-quality bathroom, separate laundry, an immaculate eat in kitchen with granite bench tops and 90 cm free-standing Smeg oven, a beautiful formal lounge room, opening onto a paved terrace with city skyline views, a second central living room with original hardwood flooring and wood-heater, opening onto a sheltered walled courtyard. 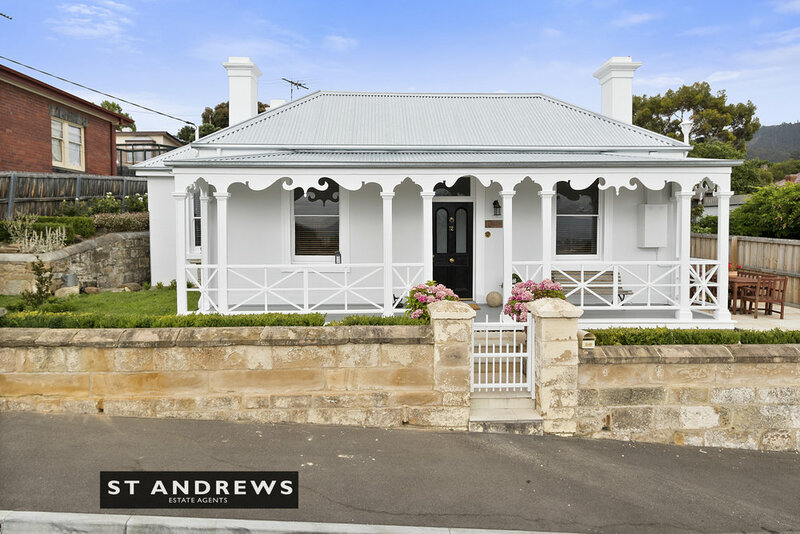 Outside there is a full-length front verandah, the perfect vantage point to look toward the city skyline, a paved side terrace accessed off the main living room, sheltered courtyard with original sandstone walls, and a historic brick out-building. This captivating out-building has been partly restored and offers the new owner scope to further develop into either additional living, a home office, a teenager's retreat or artist's studio – with inspiring vista! The property incorporates prized rear access off Hugo's Lane and a level grassed area - the perfect garden retreat, car parking area, children's play area. The property also enjoys uninterrupted views to the east over Hobart City Centre, the River Derwent, Domain and the pretty rooftops of inner Hobart. Every possible convenience is within close proximity – opposite a primary school, walking distance to the city, nearby Forest Road bus route, easy access to beautiful Knocklofty walking trails, local cafes and much more. Wallfield has only had a handful of owners and sensitively completed recent restoration works have given the property a new lease of life, whilst celebrating its Georgian heritage. 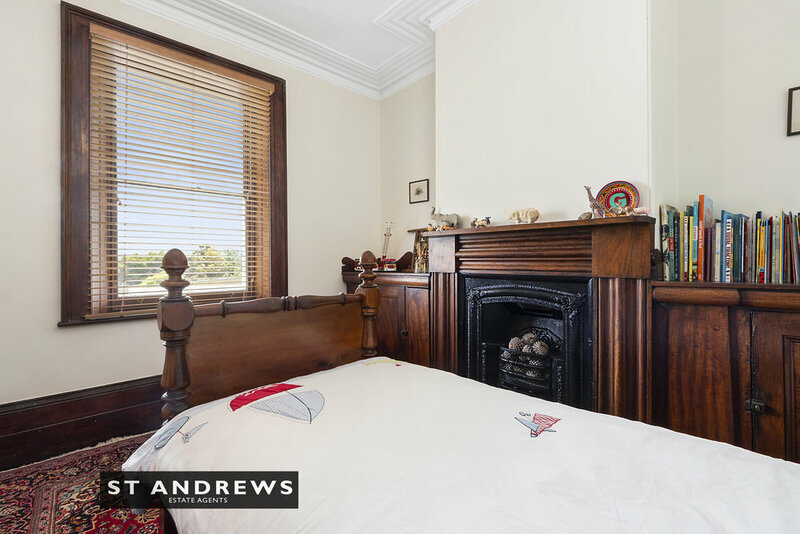 This is a rare opportunity to acquire a beautiful and historically significant home in an outstanding inner-city location.